The PF2 induced-draft-counterflow unit is designed for systems that benefit from dry operation in severe cold weather. 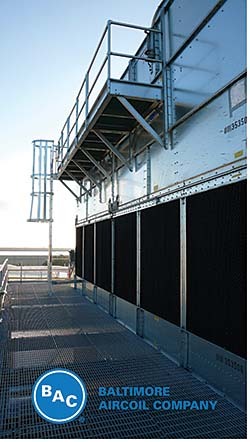 The unit can operate in evaporative-cooling mode to minimize energy usage or in dry mode for extreme winter conditions. SmartSpray™ technology optimizes spray coverage to fully wet the coil and provide up to 60 percent reduced pump energy.